Br. James Gaffney has been a fixture on the Lewis University campus from his days as a provincial of the Chicago District of the Brothers of the Christian Schools, as chairperson of the Board of Trustees, as a professor of Theology, and, for the past 28 years, as president. This Thursday, June 30, marks the end of his presidency. Looking for ways to celebrate his legacy? We have a few suggestions. Enjoy your retirement, Br. James, and thanks for all you’ve done for Lewis University! 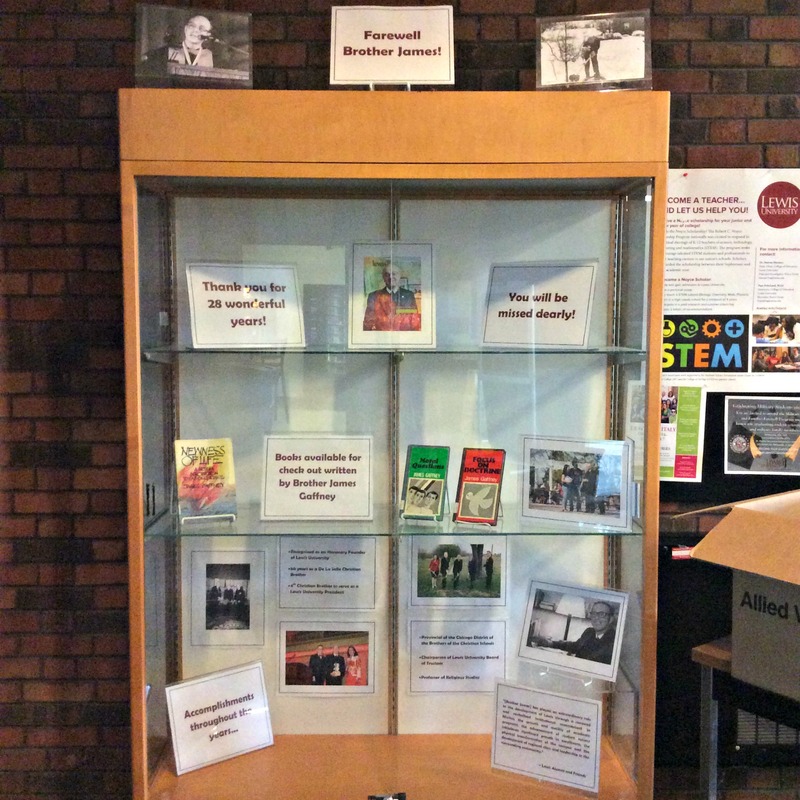 Library display honoring Br. James Gaffney’s 28 years as Lewis University’s president. Books written by Br. 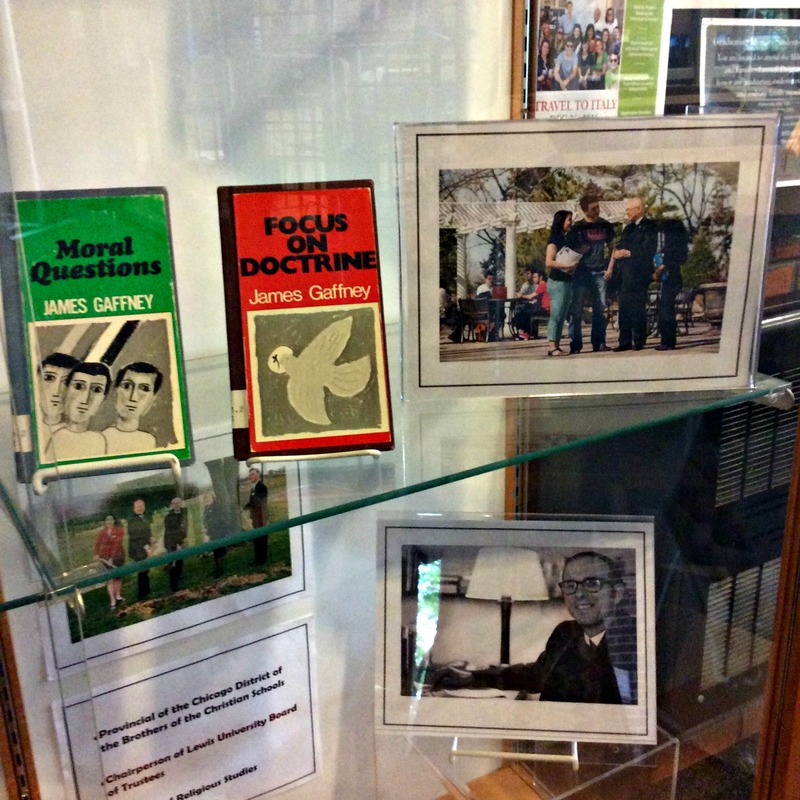 James, including Moral Questions and Focus on Doctrine, are available for checkout.